We must close the infrastructure investment gap, not only to protect the safety and health of our nation and communities, but also to protect the finances of our nation’s families. 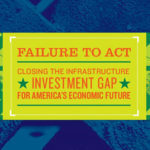 ASCE released the Failure to Act: Closing the Infrastructure Investment Gap for America’s Economic Future 2016 report in May, estimating that continued underinvestment in infrastructure will cost each U.S. family $3,400 a year over the next decade. Imagine that—you will be paying $9.33 a day because our infrastructure remains unaddressed. No one is left untouched by the investment gap for infrastructure. The root of these costs to families exists in the broken water pipes, power lines, levees, deteriorated bridges, and roadways that keep goods from getting to market. This means a weakened economy, and with time, these problems will only get worse. The study estimates economic consequences of $3.9 trillion in our nation’s gross domestic product (GDP), which is more than the entire GDP of Germany in 2013. 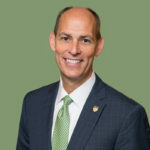 Additionally, a failure to act could see ramifications totaling $7 trillion lost in business sales, 2.5 million in job losses in the year 2025 in addition to the $3,400 cost to families’ income each year from 2016 to 2025. For businesses, a failure to act can mean increased production costs, increased travel costs and a decrease in consumer spending. 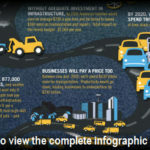 The report identifies the needs for 10 categories of infrastructure totaling $3.3 trillion across a 10-year time span to include a $1.4 trillion investment gap. By increasing the investment by $144 billion a year for the next 10 years at the federal, state, and local levels, we can upgrade our infrastructure, and protect our GDP, jobs, families’ disposable income and our nation’s competitiveness. Fixing America’s infrastructure is an important part of ASCE’s advocacy efforts. And, we’ve made great strides with the passing of the FAST Act. But there is much more work to be done. To help close the infrastructure gap, ASCE has established a Grand Challenge to reduce the life cycle cost of infrastructure by 50 percent by 2025 and foster the optimization of infrastructure investments for society. Reaching this goal will require civil engineers to rethink and reinvent every stage of project delivery and embrace the challenge to innovate and to transform our practice. I encourage you to read the Failure to Act report and learn more about how you can contribute to achieving the ASCE Grand Challenge, because we need to address these issues now. 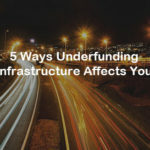 Every day we wait, our infrastructure goes from needing to be maintained and repaired to needing to be replaced. The ASCE Foundation has released its annual report highlighting the programs and events it has served, and honoring those who donated in 2015. The Foundation saw an increase in net assets by more than $10 million in 2015, much of it tagged to support the Dream Big movie initiative. Other programs receiving funds include the National Concrete Canoe Competition, state infrastructure Report Cards, and ExCEEd teaching workshops. See the full report for the Foundation’s contributions to programs that enhance the quality of life, promote the profession, advance technical practices, and prepare civil engineers for tomorrow. What’s important to you and the profession is also essential to us. Please share with us the concerns that ASCE’s Government Relations team should stress with state and federal officials and lawmakers. Tell us whether research and development funding, resilience, education support, or infrastructure sectors are in most need of investment or if you think something else should be getting more attention. Please take the survey online as your feedback will shape ASCE’s 2017 priority issues agenda. Have you been reading Anthony Fasano’s career advice column in ASCE News? In one recent edition of “Ask Anthony,” he helps young engineers consider credentials worth getting in the context of their career goals. Check it out on the recently refreshed ASCE News Careers & Leadership page. Fasano is author of Engineer Your Own Success, co-host of The Civil Engineering Podcast and co-founder of The Seller-Doer Academy for Civil Engineers. He welcomes questions for future columns at anthony@engineeringcareercoach.com. Our 2017 President-elect will be Kristina L. Swallow, P.E., ENV SP, F.ASCE, of Las Vegas, as chosen by a majority of members in the recent Society officers election. 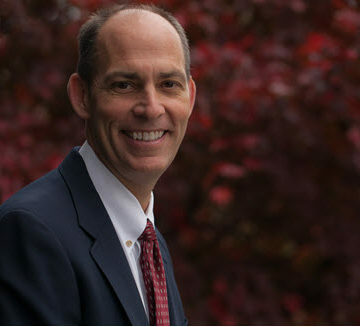 Swallow has been a dedicated member of Region 8, recently serving as director on our board. She will be inducted at the Annual Business Meeting, Sept. 30, during the ASCE 2016 Convention in Portland, OR. Most regions elected directors and governors to three-year terms. Also on the ballot, a constitutional amendment to change the term of the At-Large Director to three years was approved. Read more about Swallow including her vision for ASCE and her reaction to being elected. See the complete list of 2016 officers election results on our website at asce.org/elections. The flagship event for all Society members, the ASCE 2016 Convention is headed west this fall to Oregon’s largest city, Portland, a center for food, culture and atmosphere in the Pacific Northwest. You don’t have to take my word for it; ASCE News offers five great reasons to visit the city and five ways they connect to Convention activities. Visit the new ASCE convention page and reserve your spot in Portland today. Entering the work world with their new diplomas in hand, most new engineers have plenty of questions about what to expect. When his son graduated a couple of years ago, Bob Breeze wrote a letter sharing seven elements of wisdom that helped him succeed in his career. Read Bob’s letter and his lifelong advice in ASCE News. You can help us take a critical look at what it takes to enter the profession of civil engineering – the knowledge, skills and attitudes needed to practice as a professional civil engineer – for a possible third revision of the Society’s Civil Engineering Body of Knowledge for the 21st Century. Apply to join a task committee now coming together will begin convening in October. The BOK has proven influential in the profession, shaping ABET’s civil engineering program reviews. Download a free copy of the second edition. Young engineers looking ahead to the P.E. Civil, S.E., or Environmental Exam this fall should register for our study plan. ASCE’s live exam review courses offer knowledgeable instructors, interactive classes and reference materials that will build your confidence so you’ll be ready to pass. Recorded webinars allow 24-7 access to review. You can team up with one or more engineers preparing in the same location and save with group rates. Mark Woodson and I had a very informational trip that to enhance bonds with civil engineers internationally. In his blog entry, Mark discusses the experience of talking with professionals of the field and students facing challenges similar to ours as well as the honor of naming the Cape Agulhas Lighthouse as one of our historic landmarks abroad. Check out Mark’s musings on ASCE News. ASCE representatives have been hard at work planning for CECAR 7, the seventh Civil Engineering Conference in the Asian Region. Taking place in beautiful tropical Waikiki, Oahu, on Aug. 30 through Sept. 2, members from 13 Asian civil engineering societies and ASCE will be exploring how sustainability is being implemented across the region. Register for the conference now online. Enjoy significant savings on shipping with UPS through your ASCE membership. You can save up to 35 percent with the UPS® Savings Program, even if you already have an account. Plus, get 50 percent off select services for up to four weeks after you enroll. Convenient shipping options, packing expertise, and technology solutions make UPS your ideal choice for getting packages to their destinations on time and intact. Visit savewithups.com/asce or call 1-800-MEMBERS (1-800-636-2377) weekdays, 8 a.m. – 6 p.m. ET.